No one ever hopes to have to call for services such as the removal of human remains, animal feces, blood spills, or hoarding scenes, but the reality is that from time to time events occur in our community that force us to take action. 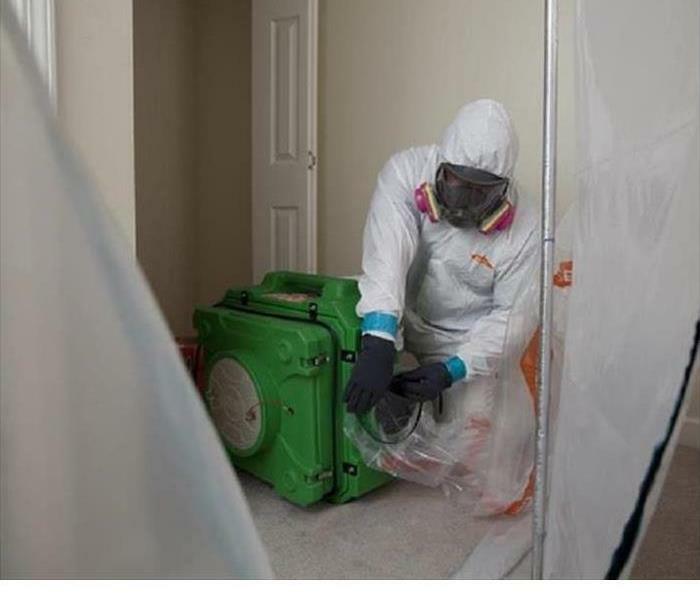 When you need to remove bio-hazardous materials from your home SERVPRO® of Alexandria your best resource. There are competing companies who do the same work, and provide the same service, but at a much greater cost. The fact is we are equipped to handle any type of bio-hazardous cleanup job at a much lower price, without sacrificing the quality of the job. In the case of hoarding scenes, our technicians will work compassionately with the home owner and his or her loved ones to clean the place up. 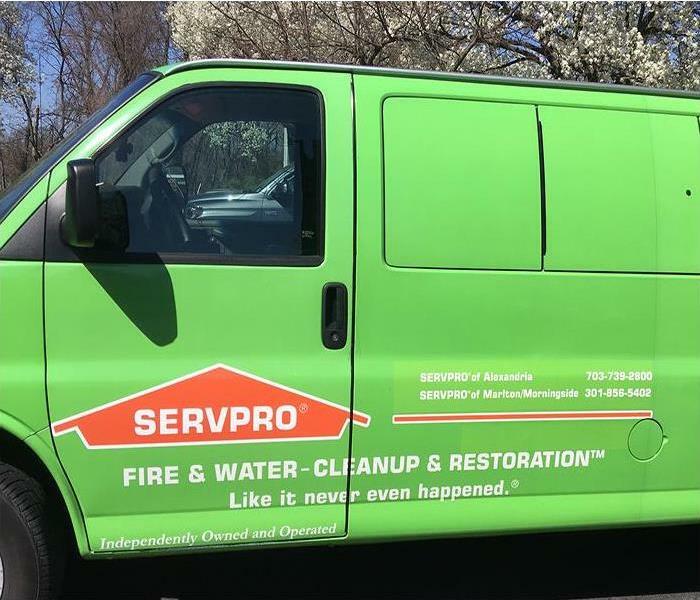 No one wants to get informed about accidents, death, murder, hoarding, or suicide but if you are in the difficult position of calling for the cleanup of any of these events, SERVPRO of Alexandria has the most experienced crews, at the best prices in town. Our slogan is "We're always here to help", so if you are searching for bioremediation, or for a murder or suicide cleanup, contact us, day or night, and we’ll be there. Just contact us and our professional staff will be happy to help. Water damage can damage threaten both the safety of the occupants, and the finances of the owners. But that’s not just true of residential homes, but also of commercial buildings. In Alexandria, VA that means plenty of law office buildings, professional buildings, and the like. In times of severe flooding or plumbing failure this damage could even stop your business from daily tasks, which means you are losing money! Here, we go over some basic preventative and responsive best practices so that your office can avoid being in this situation, or if you do find yourself in this situation, at least you can get your office back to normal quickly. In an office environment, there are some things you can do to minimize the risk of damage due to water leaks. For example, it is beneficial to educate your office managers on water damage preparedness. This means that your managers should know how to turn off the water, electric, and gas supply. If they don’t have access, then they should know who to call in order to have these items completed. It’s also a good idea to have some basic tools in the office in the event of an emergency. Lastly, it’s always good to have a list of emergency contact phone numbers for all employees so that in the worst-case scenario the loved ones of those injured can be notified. Of course you should already have the contact information for your local fire and police numbers, so that anyone who is injured can get medical attention if needed. Call SERVPRO of Alexandria to remediate the damage. 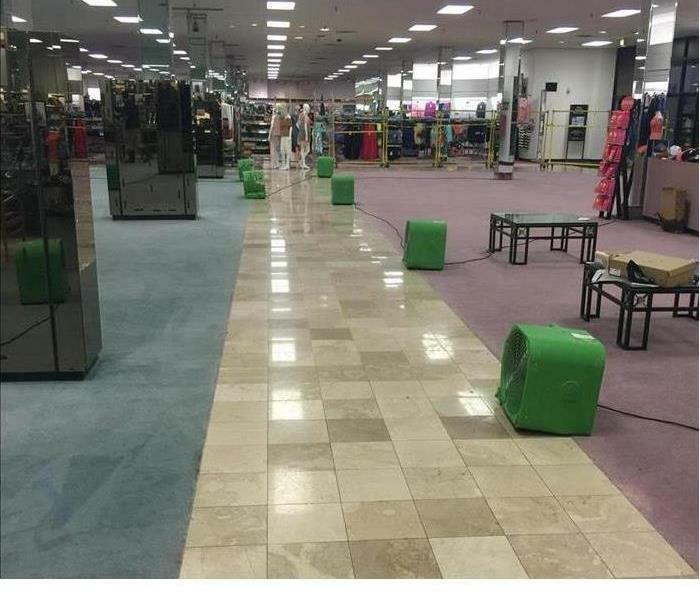 At SERVPRO of Alexandria we are the leaders of commercial water damage restoration. Contact us today to learn more! Aftermath® vs SERVPRO® of Alexandria for Crime Scene, Trauma, and Biohazard Removal and Cleaning Services. Contact SERVPRO® of Alexandria for Biohazard Cleaning Services Today! In Alexandria, VA there are two main choices for crime scene and trauma cleanup services: SERVPRO® of Alexandria and Aftermath®. But who is better? Let’s find out so that you can make the best possible decision when it comes time to do so. Both are reputable companies that do quality work. 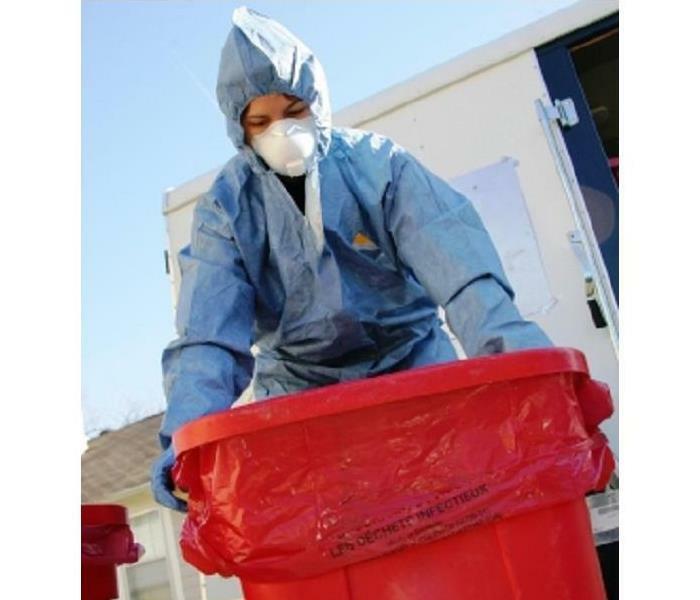 Both companies have knowledgeable workers who have the proper training and certifications to perform hazardous materials and crime scene cleanup services. However, one of these companies charges much more than the other for the same exact service. SERVPRO® of Alexandria will do the exact same work as Aftermath®, only for a much lower price. This cleanup includes body fluids, tissue, and other substances resulting from accident, trauma, crime, or death. As most people are aware, dealing with blood is potentially dangerous work. You should get professional help to properly dispose of and clean up the affected area immediately. Such problems are not just nasty, they are harmful to the health of inhabitants. If you have a sewage backup it is a hazard that only gets with each hour if it is left unattended. People who hoard personal belongings are often in need of more than just cleaning assistance. In many cases a counselor comes into play to help these individuals. However, just like in the above-mentioned cases, when it comes to cleaning the hoarding scene SERVPRO® of Alexandria is the company that gets the job done right, and at the best price. SERVPRO® of Alexandria ensures that your home or business is clean, sanitary, and safe for all habitants after it has been affected with a hazardous waste material. Unlike our competitor, however, we offer our services at an affordable price. Contact SERVPRO® of Alexandria for your hazardous waste cleanup services today! A flooded basement is an emergency situation that cannot be ignored for very long because it can cause major damage to the walls, floors, carpet, even furniture. Not to mention, it can lead to mold if left untreated, that this is all fairly quickly. SERVPRO of Alexandria understands this. That’s why we are on-call 24/7 because you can’t wait for tomorrow when you have standing water in your house tonight. If you have a flooded basement contact SERVPRO of Alexandria and have our team of experts help you out today! Water damage is the second most common claims for home insurance. If you are preparing to make a claim on water damage it would help you to know what to expect. If you need help making an insurance claim on your water damage repairs contact us to help now! You might run into some trouble making your claim if you are claiming a loss that was the result of gradual damage. Gradual damage is anything that happened over the course of a prolonged period of time, as opposed to an accident, or a sudden damage. 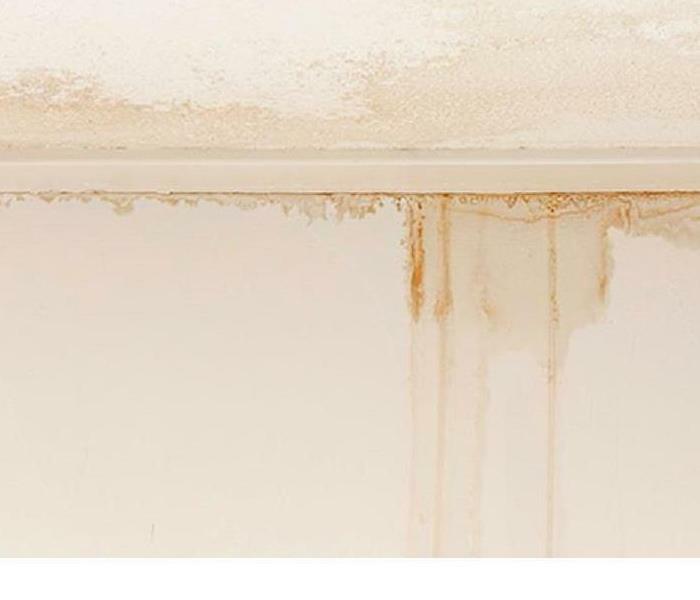 Loss such as leaky ceilings due to plumbing defects, water damage caused by cracks in the foundation, and in some cases, mold fall under the category of gradual damage. These things are generally not covered by home insurance. However, there may be some exceptions to these cases. 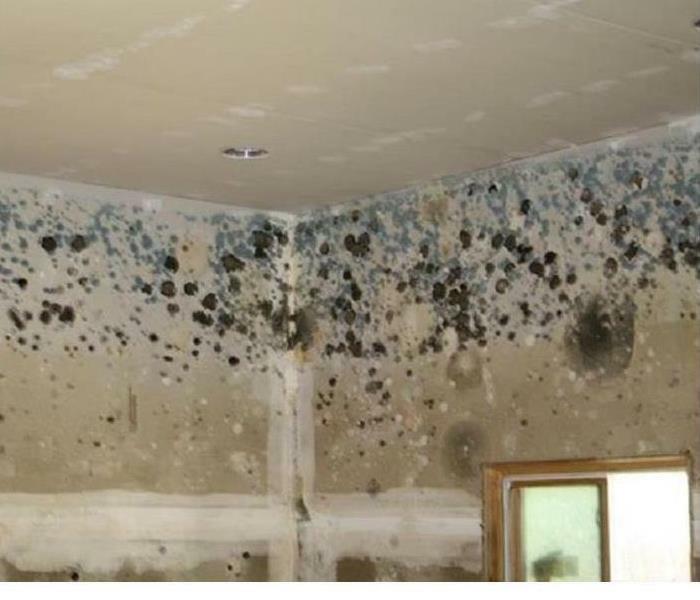 For example, the insurance company would likely cover mold if it was resulting from another claim that was covered under insurance, but was not properly fixed, and the mold was the result. On the other hand, if water damage is sudden and accidental you’ll probably have a much easier time getting covered for the damages. This is the true nature of insurance – to cover accidents. Of course everything is dependent upon the language of the policy that you purchased, but this is the very nature of insurance: coverage for sudden and accidental loss. A good practice for homeowners is to keep a record of all repairs and transactions for services that are made to your home. At SERVPRO of Alexandria we are not only experts at restoring your home “Like it never even happened.” We are also experts at dealing with insurance companies. Contact us to learn more about how we can help you through the entire recovery process today! 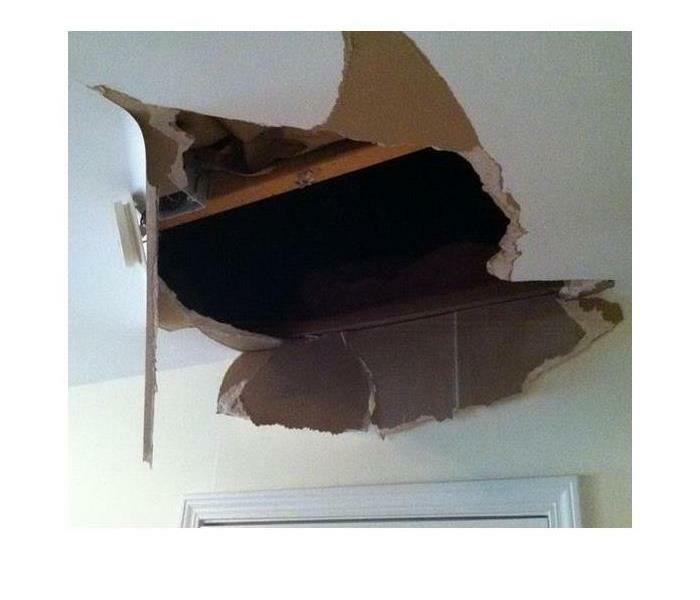 Leaky Ceilings can be costly. They can significantly damage your home or business, but they can also be costly in the time that they take in fixing them. That’s because it is sometimes hard to determine the cause of the leak, since all you can usually see is the result of the leak. For that reason finding the cause of the leak can delay the repair process, but it can also add to the expense of the repairs because while you're searching for the cause of the leak the leak is causing more damage. For these reasons, the first thing you should do when you have a leaky ceiling is inspect it so that you can at least eliminate all the obvious non-causes. When trying to determine the cause of a leaky ceiling one thing that could help you is to consider whether the leak occurs only in inclement weather. If the leak only occurs when it is raining or snowing outside it’s a safe bet that the roof could be source of the leak. On the other hand, if the leak occurs regardless of the weather conditions outside then the leak is most likely caused by a plumbing line inside the house or structure. Another thing to consider is the water itself. Does it appear to be clear and fresh? If so, that could indicate to you that the water is coming from the water supply line. On the other hand if water was coming from the roof you could see that dirt and other substances from the roof along are being dragged along with it, and it would stain the ceiling. Of course, not all people are prepared for home improvements and repairs, especially when it comes to major repairs. If you have a leaky ceiling, or any kind of water damage to your home or business, contact the pros at SERVPRO. For more information visit our water damage services page. We’re faster to any size disaster. 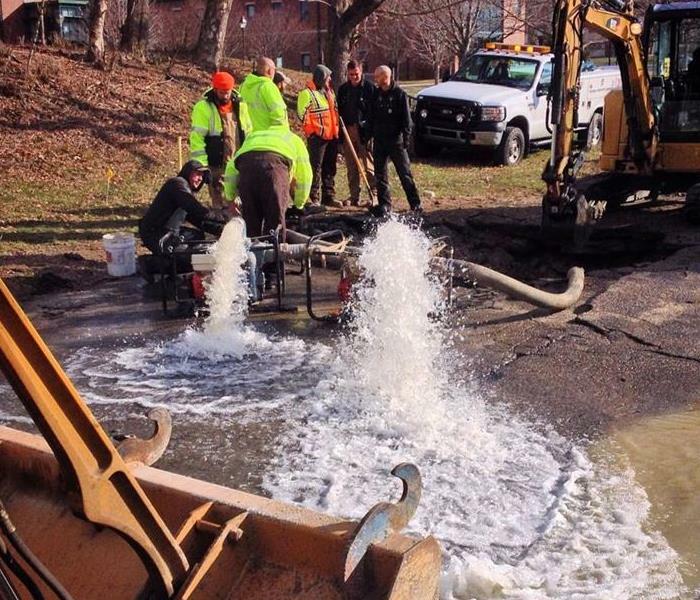 Many Alexandria, VA residents have learned the hard way that water damage is a big problem. It can destroy not only your home and your finances, but also destroy the sentimental items that you can’t put a price tag on. 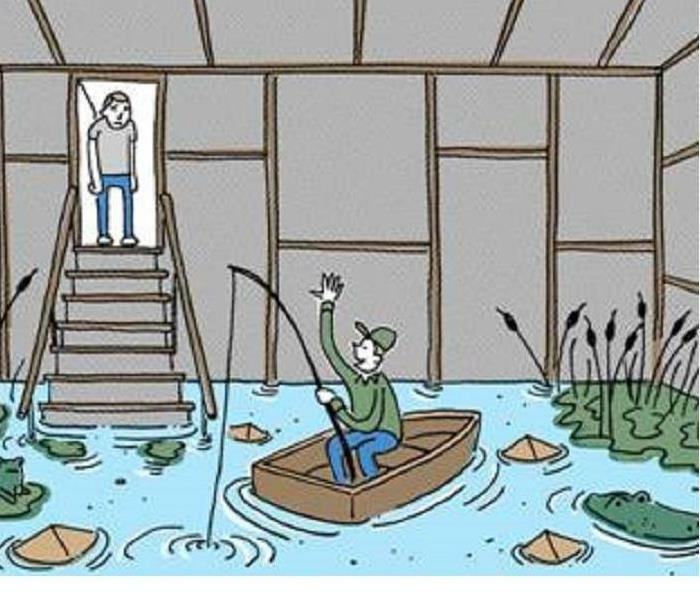 For that reason it’s a good idea to learn what causes water damage so that you can better avoid it. But if you cannot avoid it then here are some tips on what to do if you have been victimized by it. Learn more about water damage, or any of the other services that we offer at SERVPRO®. If you find yourself dealing with a disaster, and need emergency repair, contact SERVPRO® of Alexandria today!